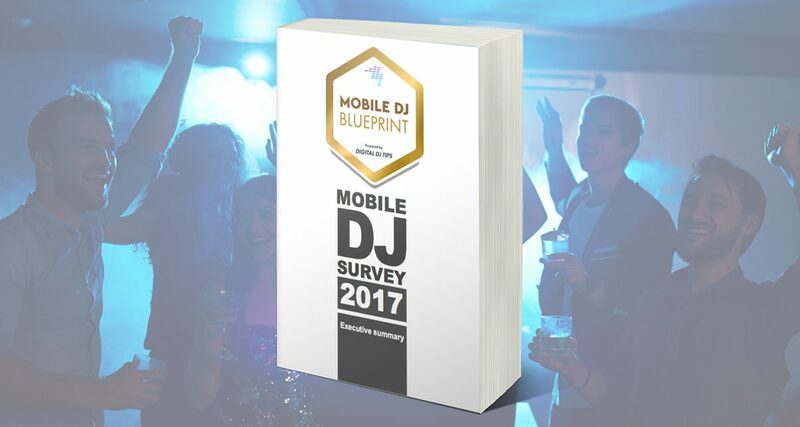 Check out some highlights from our first ever Mobile DJ Survey. 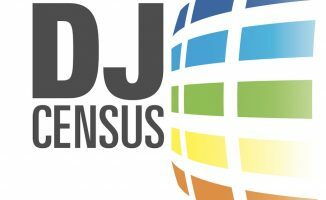 The survey was onlt of working (more than 12 months) mobile/wedding DJs, and was pretty big (we collected over 350,000 individual pieces of information from the 7,095 DJs who took part), so here we bring you some “edited highlights”. 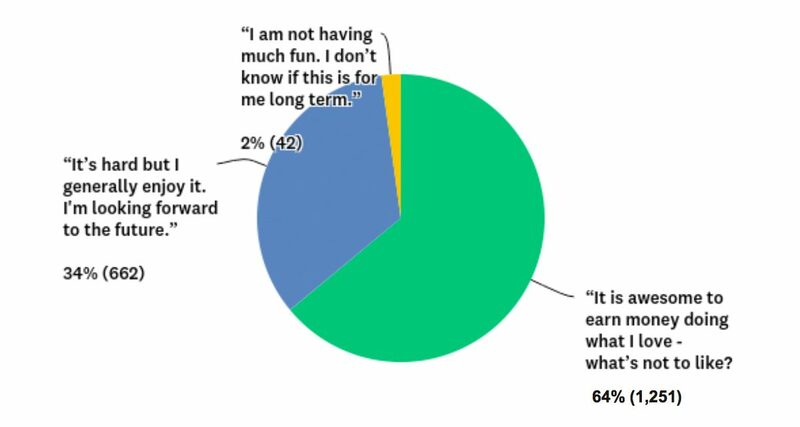 Majority of our survey respondents are in the 35 to 44 year-old bracket, and this doesn’t come as a surprise – mobile DJing requires investments of both time and money, so it’s usually around this age that DJs have both income (ie you’ve saved up / got a job that supports you) as well as time and physical energy (ie you’re not paying for your child’s college tuition / your arthritis hasn’t made its presence felt just yet). 3. Do you mobile DJ full-time or part-time? 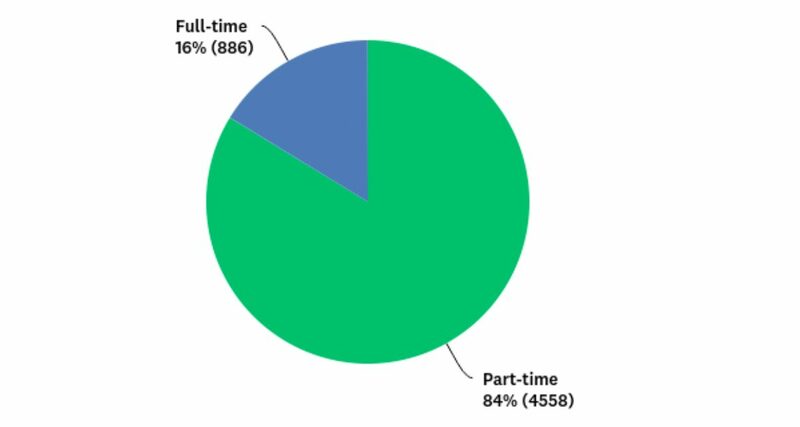 Mobile DJing can be both a fulfilling full-on career path, as shown by 16% of our respondents, or as a side hustle that pulls in income as is the case with majority of our survey-takers. That’s more lucrative (and realistic) than your dreams of becoming a professional mini golfer / hot dog eating champion! 4. What percentage of your total income comes from mobile DJing? For most of our mobile DJs, their fees make up 10% or less of their total annual income, with DJs raking in 11-25% of their income coming in second. That puts the majority of mobile DJs in the “break even” rather than “successful side hustle” category, just paying a bit of cash here and there. 5. How much have you earned over the last 12 months from your mobile DJing? 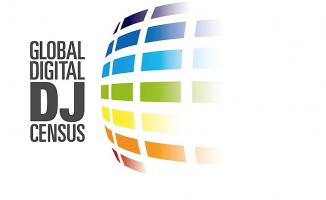 US$6000 is the ceiling for 61% of our mobile DJs, with US$7000-15,000 coming in at a close second. That’s a significant chunk of change for spinning tunes (a year of mobile DJing can get you that Denon DJ Prime set, for instance). 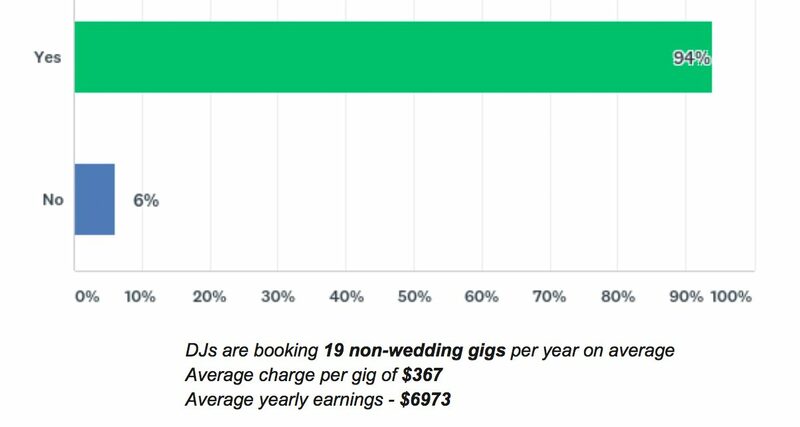 Look at the bottom of the graph though – there are some who make upwards of US$100,000 a year with their mobile DJ business. Certainly something to aspire for – you could probably have multiple mobile jocks working for you at this point, scaling your fledgling mobile DJ solopreneur business. 6. 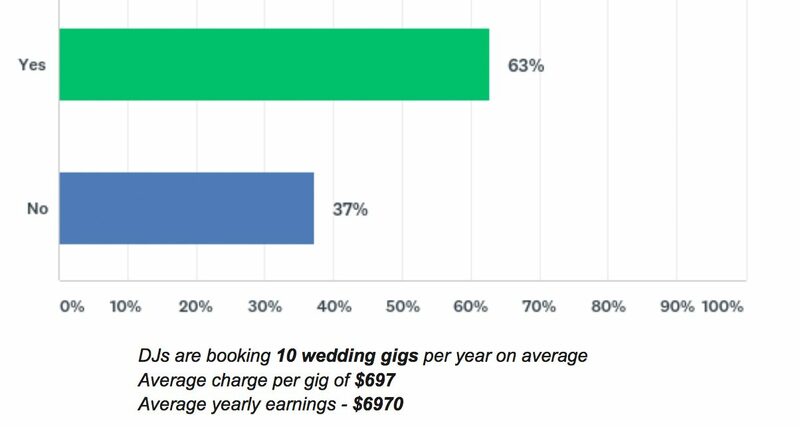 Have you played a wedding gig over the last 12 months, and how much did you charge per gig? 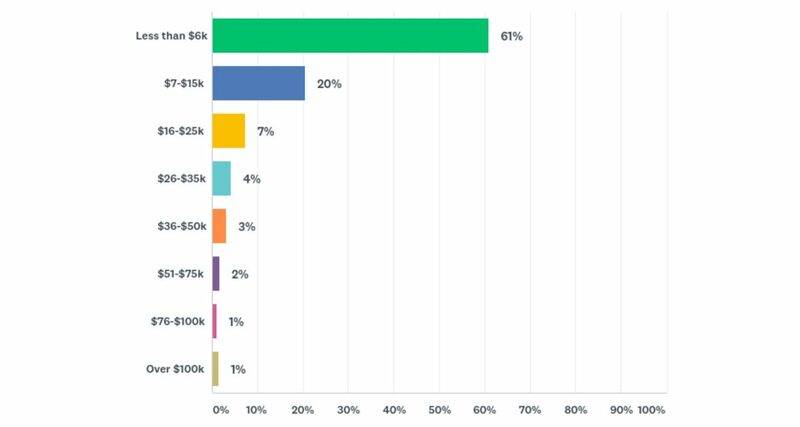 Weddings are a big source of income for mobile DJs – 63% of our respondents played a wedding in the past year, charging an average of US$697 per show. Apart from nuptials, there are other types of mobile DJ gigs to be had (though you probably won’t find as much attractive bridesmaids / groomsmen…). 7. Have you played a non-wedding gig over the last 12 months, and how much did you charge per gig? Functions, birthdays, even bar or pub DJ gigs where you bring your lights and sounds are income generators for most of our mobile DJs, with only 6% of our respondents doing nothing but weddings. Talk about laserlike focus! 8. Do you use DJ lights, and if so how much did you spend? 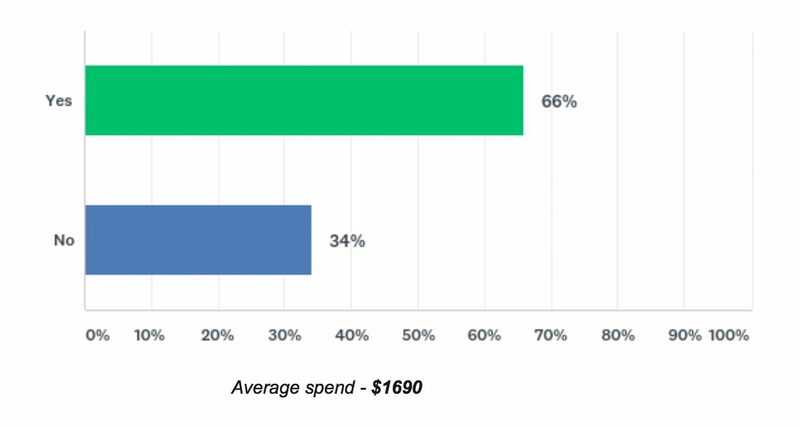 Lighting is an essential component of a mobile DJ set-up, and 66% of our respondents use their own DJ lights, having spent US$1690 on average. If you want to get started with lights but don’t have that much to spend in your budget, try something like the Chauvet DJ GigBar. 9. How confident are you in your use of a microphone? It’s no secret that getting on the mic and being an MC during a wedding or function is tough – it takes skill and courage (liquid or otherwise) to talk to a crowd who doesn’t know you. 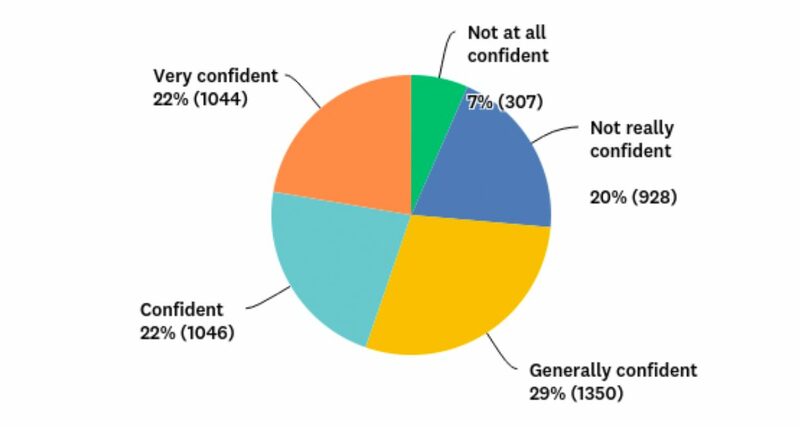 This question netted the most divided results in our survey: majority were generally confident (29% of the survey-takers), while a chunk were not that confident (20%). It’s not the end of the world – you aren’t born a natural in front of a mic, and the good news is that these are skills that be learned through practice. 10. Do you pass business over to other industry professionals (eg wedding planners, venues, photographers)? 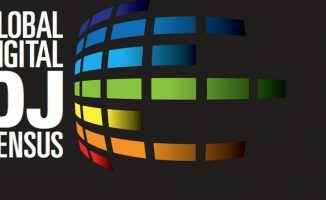 The events industry is made up of many different moving parts, and music / entertainment is just one of them. Functions and weddings also needs photographers, stage design, catering, and so on. 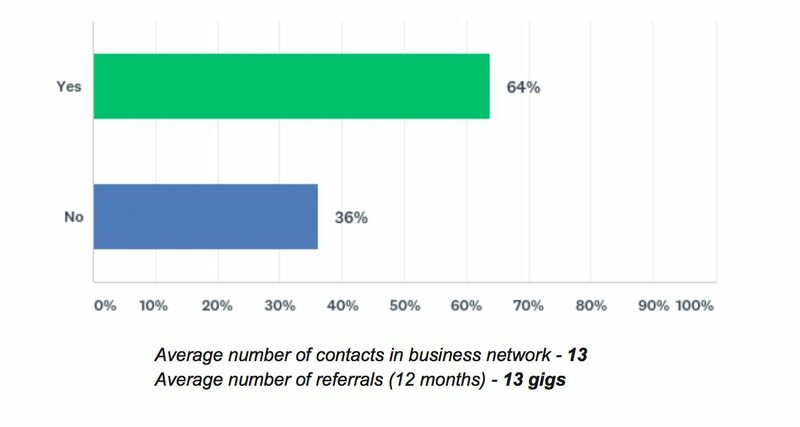 In our survey, 64% of our DJs referred business to other industry pros – apart from the goodwill this generates, you can also make a pretty penny by tacking on a small “finder’s fee” for other services such as photo booths and video coverage. 11. Apart from Facebook Pages and websites, which of the following do you have? 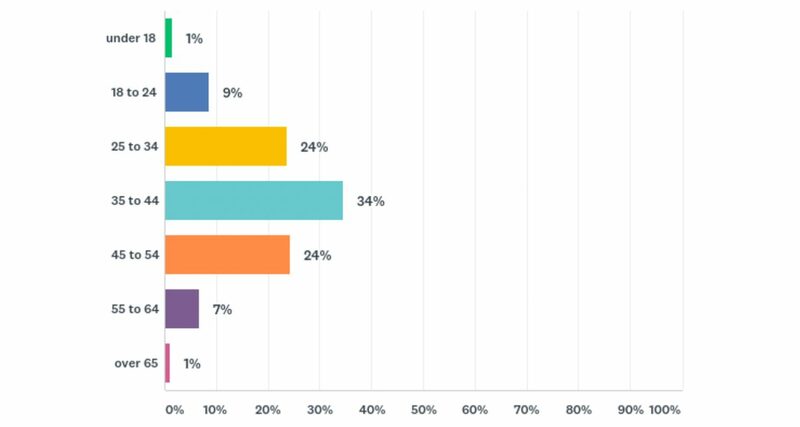 Social media is a key component in marketing your mobile DJ business, and of all the platforms out there most of our survey respondents are on Instagram. 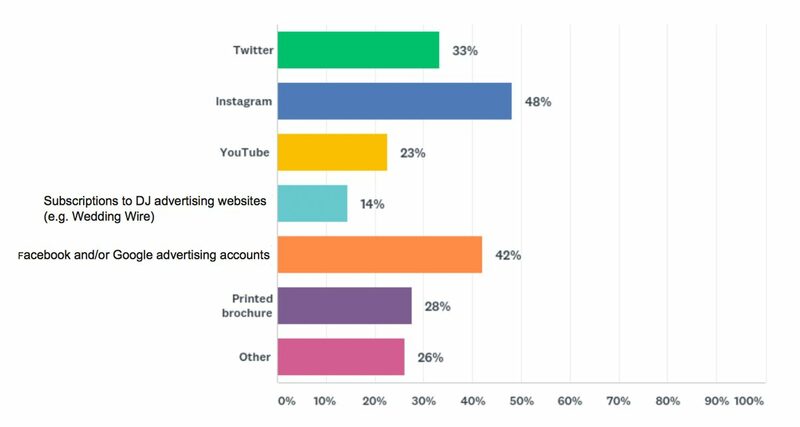 Noticeably absent is Pinterest (perhaps covered in the “Others” category), which is an area of growth for mobile DJs because wedding planners and brides love using Pinterest to come up with mood boards, palettes, and design ideas. If you’re not on it, you may want to consider adding Pinterest as part of your online marketing efforts. 12. Which of these statements best describes you? 98% of our mobile DJs find joy and fulfillment in what they’re doing (great news), while 2% don’t – pretty sure that group doesn’t include those who make upwards of US$100,000/year! Thanks to everyone who participated in our mobile DJ survey. As we’ve seen in the results, mobile DJing could be a lucrative endeavour that’s both enjoyable and fulfilling. 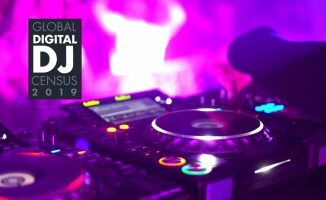 For DJs who would like to switch from DJing at clubs and bars, setting up a professional mobile DJ service could be a logical transition, especially if you no longer enjoy the rigours of the road or spinning until the wee hours every weekend. • If you’re interested in becoming a mobile DJ, we’ve got our brand new Mobile DJ Blueprint course that takes you from start to finish. Click here to get on the waiting list. 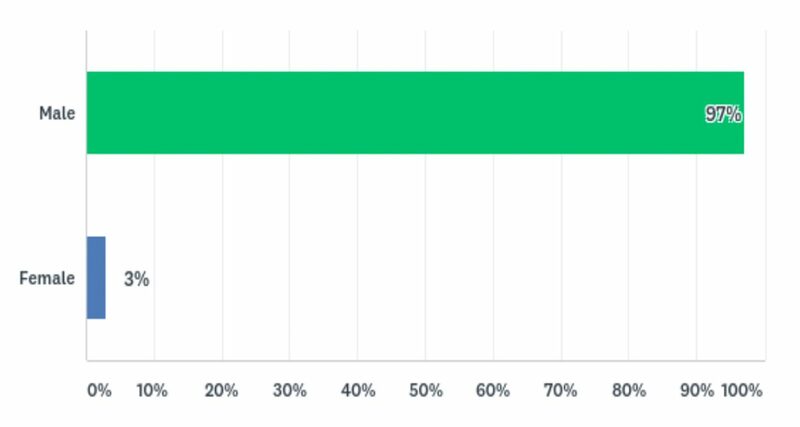 What are your thoughts on these results? Are you interested in mobile DJing? Share your thoughts with us below.